A10-OLINUXINO development started long long time ago back in September 2012, we had first prototypes made in November 2012, but they didn’t work correctly as we wired the DDR3 memory a bit differently than the Allwinner and their SDK didn’t support them, we lost months trying to initialize the DDR3 correctly without proper DDR3 controller description and finally gave up and focused on the new A10S processor, but keeping the work on A10 in background with low priority. 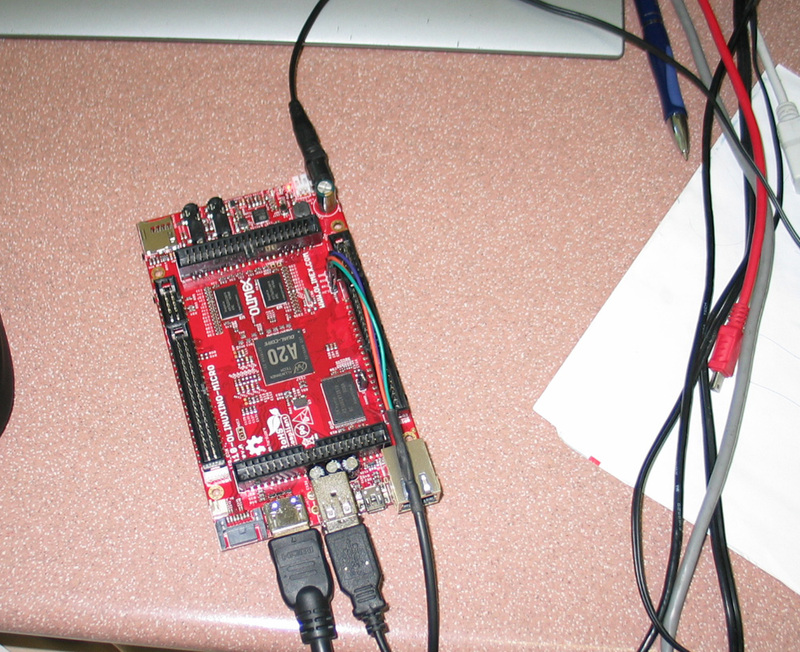 A10S prototypes and production is completed, so we forced again A10-OLinuXino work. Meantime Allwinner released their double core A20 which is almost pin to pin compatible with A10, we did review the differences in our blog https://olimex.wordpress.com/2013/04/05/allwinners-a10-and-a20-are-they-really-pin-to-pin-compatible-and-drop-in-replacement/ and modified our A10-OLinuXino to accept both A10 and A20 processors. We assembled yesterday 3 boards with A10 and 3 boards with A20. 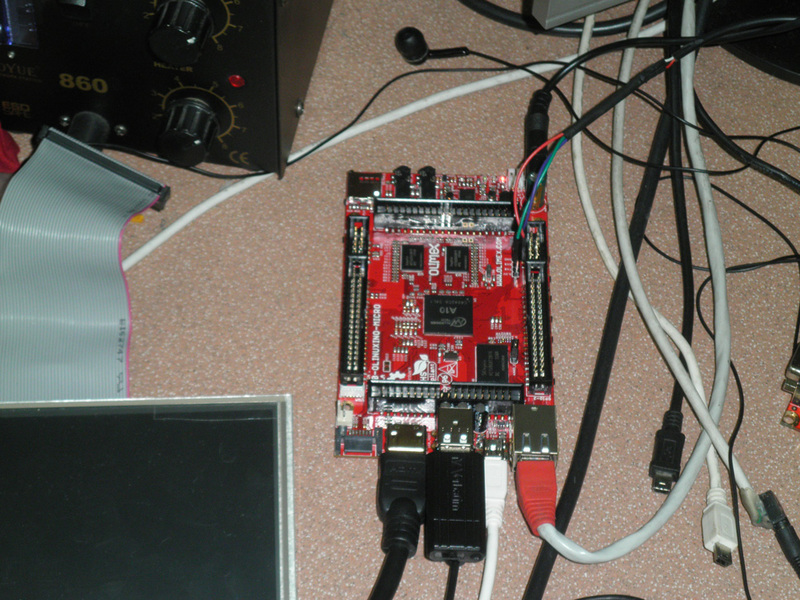 The boards had some things to be tweaked around the power supply, but ran successfuly relatively easy and we tested the A10 with Android image. 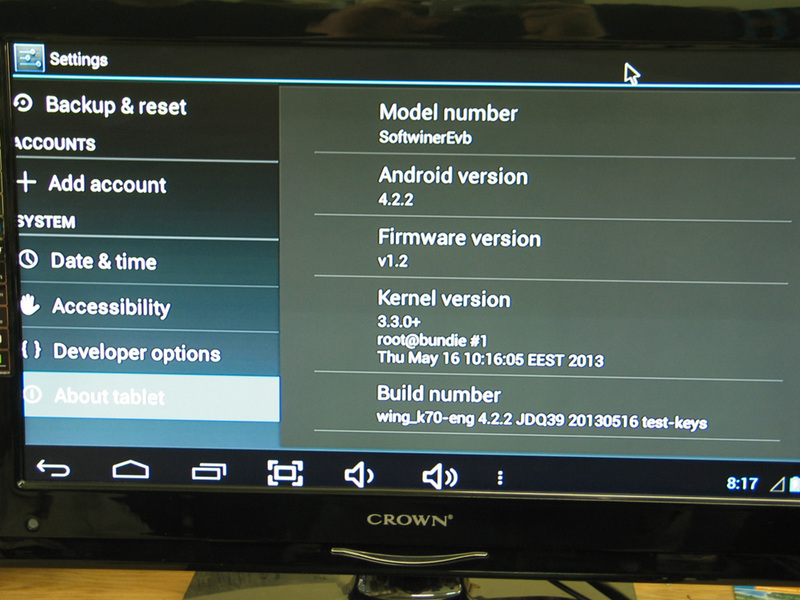 It worked fine, so today we start with A20, we got A20-SDK from Allwinner few days ago so Dimitar has prepared Android 4.2.2 images for it, which for our surprise were flashed and run from the first attempt! 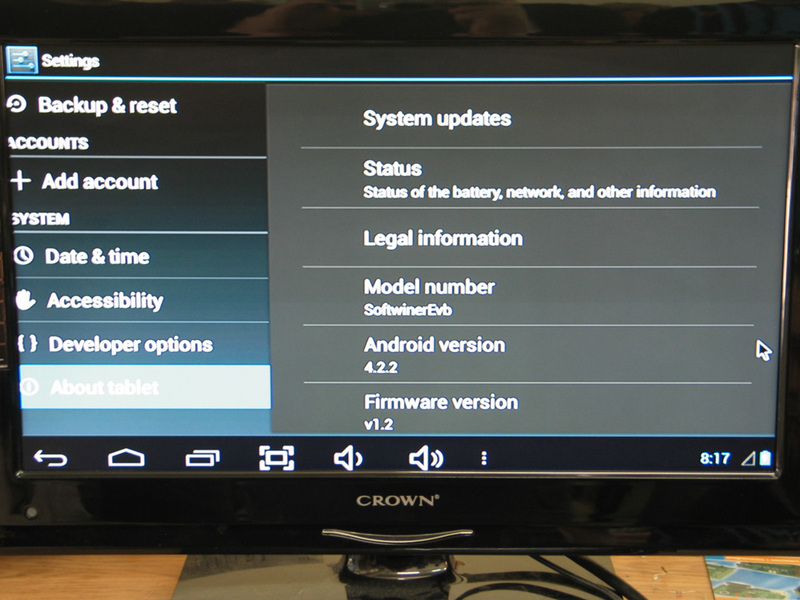 Well done Allwinner! What’s next? As we got 50 pcs A20 samples from Allwinner next week we will assembly them i.e. will have A20-OLinuXino developer’s edition with 1GB RAM and 4GB NAND in stock for sale. The price of A20-OLinuXino with 1GB RAM and 4GB Flash will cost EUR 65.00 (later we will have also version without NAND Flash for EUR 55.00), meantime we will start working on the Linux support. The mass production of A20-OLinuXino will follow in June it will be produced in both versions with and without NAND Flash. Low cost EUR 25.00-30.00 A20-SOM module with only A20, power supply and DDR3 memory will follow, which will allow everyone to build his own computer based on A20 with low cost 2 layer motherboard with the peripherials of choice. Fantastic an A20 SOM is exactly what I was looking for. Looking forward to it! thank you for the post and for the good work done! May i assume the TI board is coming sooon to then? Good news indeed! Hi do you have advance information on the SOM? I’m looking into a product development right now for 5K/pcs annually where this would be a perfect fit – *but* i need access to the camera interface, HDMI and LCD. Good to hear you will also make a SOM. Please make the SOM as tiny as possible. Hopefully no bigger than the Carambola 2 or so. Did you tried HDMI output? What kind of resolutions it will support under Android? We’ve been using mini PCI express connectors for modules. They work good if you can live in 52 pins. $0.15 each from Chinese suppliers. For things like camera and LCD put FPC connectors on the module like the Raspberry PI did. $0.15-20 each in China. Plus you can leave them unpopulated. Doing it this way allows you to build a much smaller module. can you please give the link to that connector’s vendor. There are multiple vendors for these connectors. Links are awaiting moderation. You need to buy in 5,000 piece quantity to get the price but that isn’t too bad since it is about $1,000 for the lot. Great news about A20 Som , finally a cheap high performance SoM, Hopefully a 200 pin sodimm. > We’ve been using mini PCI express connectors for modules. Btw, I’m curious if there are any SoCs around which actually expose PCI-E interface. Are they? We just use the connector, it is in no way a miniPCIe compatible pinout. Freescale and others offer higher end ARM chips with PCIe support. They typically run about $50 for the CPU. Those ‘netbooks’ built on ARM CPUs had ExpressCard slots. 🙂 I’ve been waiting for that!!!! 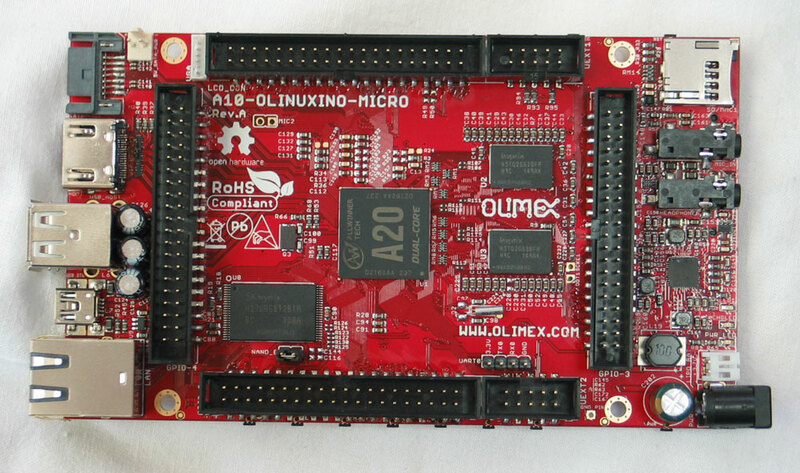 I want a A20-OLinuXino like now?! 😉 Very nice! Great news about A20 Som. When it is planed for sale (RTM)? Wow That’s Nice. 🙂 I’ll tell my friend.. thanks! Is it only android? can’t be linux based? Wonderful! Any tentative date for A20 SOM? Will it be compatible with A10 as well? I thought the new A20 was gigabit capable? Me too. It’s a bad news. This is absolutely exciting news! I’m looking forward to purchase two such boards so I can introduce them into our product line. I would like to know more of the VGA output: can it be set to output CGA resolution at 15Khz (for output to arcade CRTs)? If yes, this will be the perfect candidate for a MAME arcade cabinet! Great to hear, I am especially excited about the module! Is there already a planned time frame, when it might be released? Will gigabit ethernet – aka RGMII, I guess – be available on its connector, or 10/100 only?